I have been off Roaccutane / Accutane for 6 months now (wow how time has flown by this year). Roccautane was intense, it's definitely serious and the doctors aren't messing about. Roaccutane / Accutane is the brand name for the drug Isotretinoin, which is a vitamin A derivative. Accutane works by decreasing oil production in the skin, which results in acne. I did a post on my experience of the treatment and it was far from pretty, I will link to that here for you. As horrible as the experience was, my skin is clear (sometimes I found myself just looking at my skin because it looks really good if you had acne you know the effect it has on your self-esteem). Accutane does a serious number on your skin. Clear skin comes with a prize, so as well as clear skin I was left with super super dry skin and it ridiculously fragile. 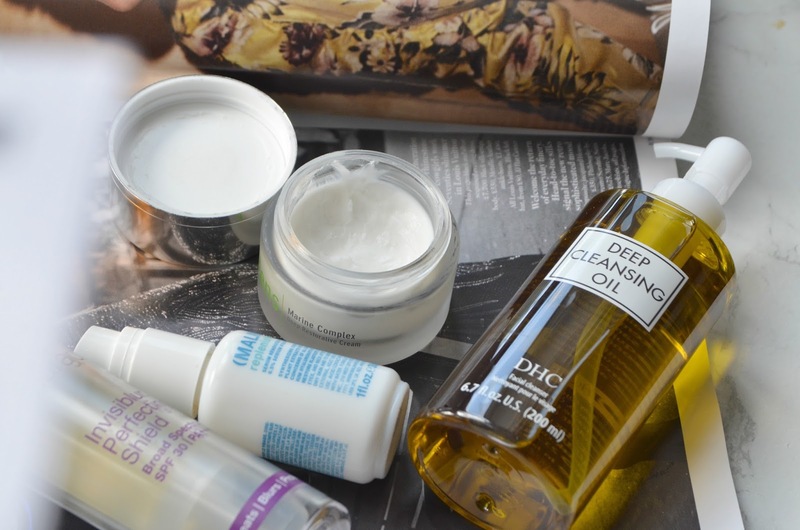 I had clear skin, and I was so used to attacking my skin with blemish control products and in fact, my cupboards were filled to the brim with these type of products. I didn't know where to start when it came to looking after this skin I had. After some trial and error and seeking expert advice I developed a routine that has been working well for me. The main aim of this routine was to protect and heal my skin. I am pretty simple when it comes to my beauty routine and simple is definitely the way forward after Roaccutane. 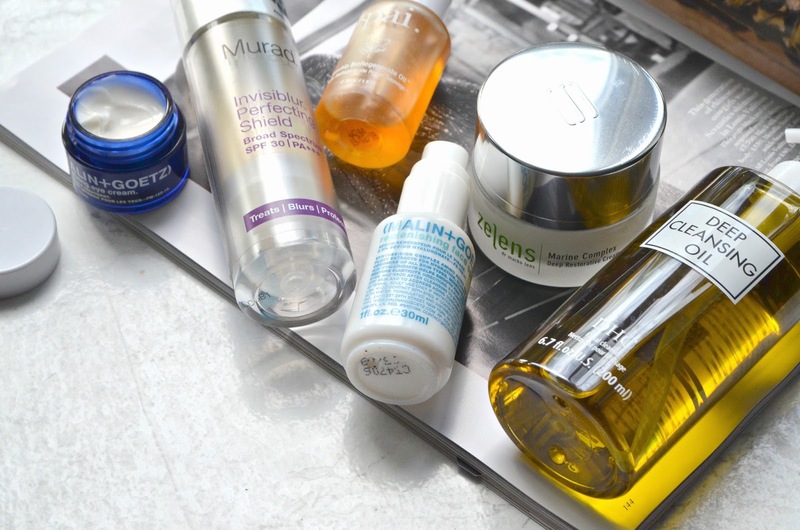 You don't want to bombard your skin with loads of different products. I love a good oil cleanser, I find that they break down all the dirt and grim without being harsh on the skin. As well as being gentle it doesn't strip the skin of its natural oils but works to keep the skin hydrated (hydration is major). 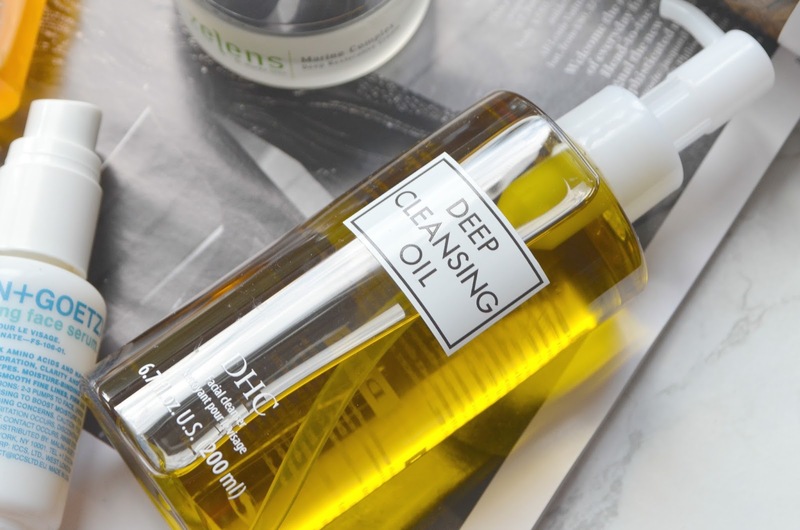 I have recently added the DHC Cleansing Oil* to my routine. The main ingredient is olive oil, which is rich in antioxidants. It's super nourishing and doesn't leave your skin with a greasy residue. I always follow it up with the Malin & Goetz Replenishing Face Serum*, which provides an instant dose of hydration for the skin. I really like the consistency it's lightweight and cooling on the skin but it definitely packs a punch on the hydration front. The formula is made up of Sodium Hyaluronate, that works to draw moisture into the skin. It also has added soothing chamomile and aromatic lavender, that work to calm and comfort the skin. So it's just relaxing to apply. 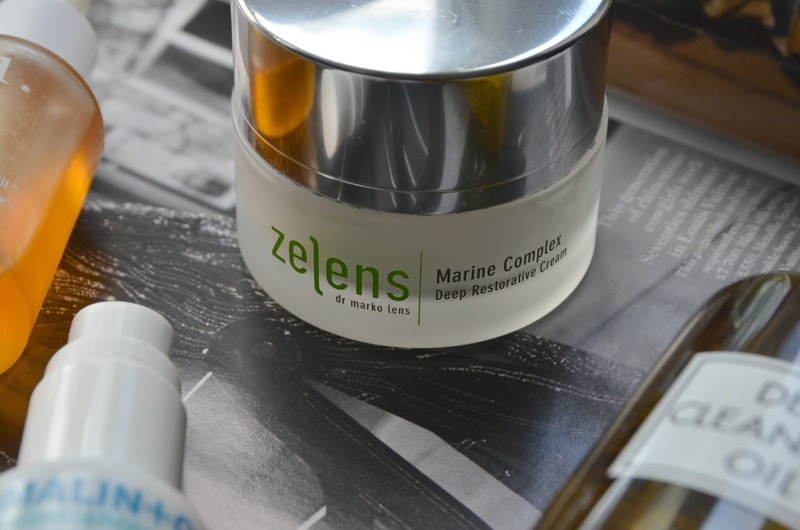 The real hero of this routine is the Zelen's Marine Complex Deep Restorative Cream*. This rich moisturiser was just what my dry and fragile skin needed. The ultra hydrating and protective formula consists of a unique blend of algae that work together to restore and soothe the skin. My skin looked and felt noticeably better, in every way. The tightness and dryness that were a result of the Accutane, were quickly diminished. This Zelens offering contains marine bacteria, that works in a similar way to hyaluronic acid to retain moisture in the skin. The hydration is then locked into place by the protective layer created by the ingredient Chondrus Crispus. It also contains Alteromonas Ferment ( potent anti-inflammatory) that works to repair and leave you with a healthy glowing complexion. I was never one for eye creams, and my under eyes never felt super dry but that changed. I had really bad dry patches and it felt uncomfortable. I tested a couple eyes creams and a lot of them were just too heavy for me. 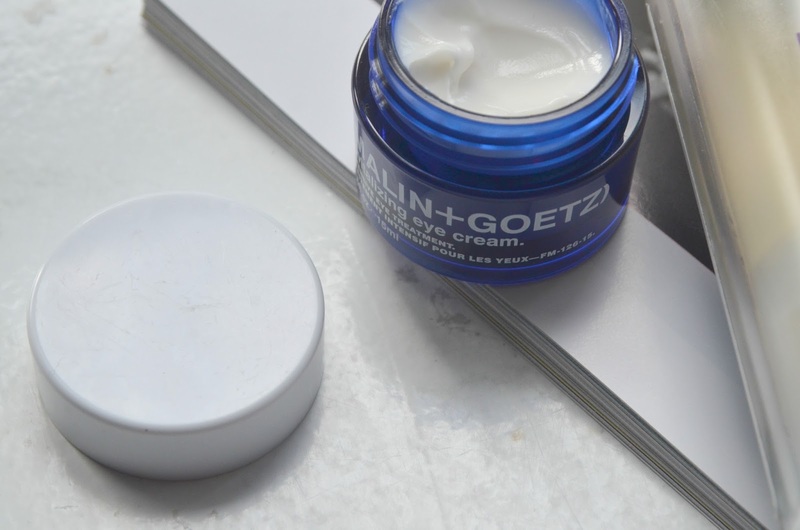 I adore this Malin & Goetz offering, it's super lightweight so it absorbs into the skin almost instantly. Also, I found a lot of eye creams to bleed into my eyes and irritated them. I could go and on about how amazing this eye cream is. Accutane has done an amazing job at clearing my acne and I was left with minimal scarring (win-win). However, I did have some old scarrings that were a result of picking, because I couldn't help myself. I have used reship oil and I definitely think that it works, well it works for me. I really like this Pai Roseship BioRegenerative Oil, the consistency is great and doesn't leave looking greasy - I have even used it during the daytime. Rosehip seed oil is a non-comedogenic oil rich in vitamin A, that works to support healthy skin cell turnover. This in turn reduces the appearances of dark spots and fine lines. As well as using rosehip oil to work on my scarring, I have definitely upped my SPF game. The sun can 'active' scarring making them more prominent. My problem with SPF has always been the white cast that a lot of SPF tend to leave and that was not a pretty look especially with my skin tone. 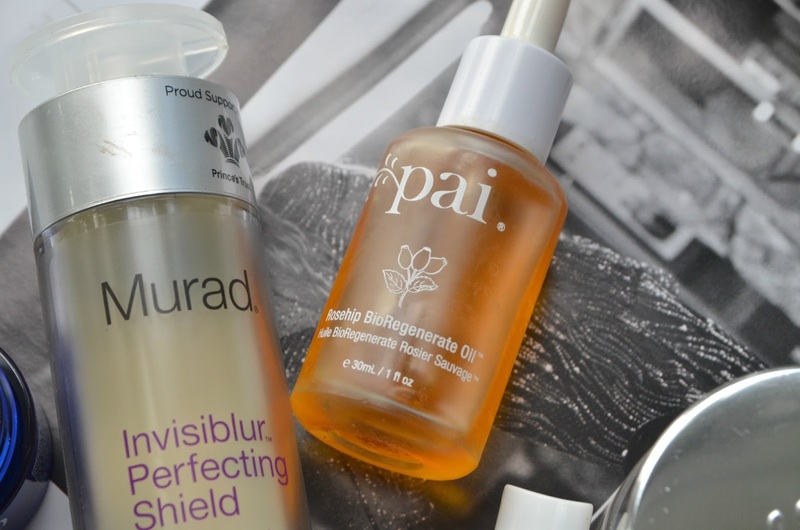 Murad is quickly becoming one of my favourite skincare brands (I might do a best of Murad post, is that something you would be interested in reading)? The Murad Invisiblur Perfecting Shield SPF30, is clear (the best thing ever since sliced bread lol) so you guessed it no nasty white cast. I adore it, I really like how it makes my skin look and feel. It doubles up as a primer, so it creates a smooth matte base for your makeup to sit on. It also means that your makeup last longer. Whenever I do wear it my makeup wears beautifully throughout the day and looks pretty decent towards the end of the day. I am so grateful for Accutane, can you be grateful to a pill? I was really uncomfortable in own skin and I know that is quite silly but I definitely have more self-confidence and I feel comfortable. Acne is a right B****! Let me know if any of guys have been on Accutane before down below in the comments below.